I was born and raised in Florida. I attended the University of North Carolina at Chapel Hill, and the Washington College of Law at the American University in Washington DC. Over the last twenty-four years, I have practiced in Texas as a civil trial lawyer, collaborative practitioner, family lawyer, and most recently, as a professional family mediator. I am also licensed in Florida and speak fluent Spanish. I have been married to my childhood sweetheart for almost twenty-five years, and we have two (challenging) teenage children. I do divorce, separation, and reconciliation mediations in a different way. 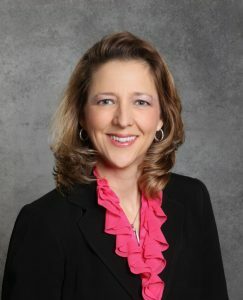 When I finally made the decision to leave litigation in 2008 and become a full-time family mediator, there was no established early mediation process in Texas, where couples could avoid court altogether and do the financial and parenting leg-work themselves with the help of neutral professionals. Likewise, there was no separation or marriage reconciliation mediation for those who wanted more professional help than therapists or clergy could offer to save their marriage or relationship. To meet the need, I designed a unique, inter-disciplinary “collaborative mediation” that combines the best strategies of mediation and collaborative law (without an attorney withdrawal requirement). The foundation of my model of collaborative mediation is an attorney-mediator and couples’ therapist co-mediation team (with financial, child, parenting, and other specialists joining in when needed). The parties decide if, when, and how they wish to use divorce lawyers, which gives them control over decision-making and costs. The collaborative mediation model I developed has proved to be cost-effective and efficient, with a greater settlement rate than collaborative law or traditional mediation. The participants report high levels of satisfaction. I also have had success with online mediations, that allow me to serve families all over the state. Read more about collaborative mediation here. In 2014 my co-mediator, Linda Miller de Berard, L.C.S.W. and I were thrilled to begin training others to do collaborative mediation. We plan another live interactive online training in the fall of 2014, after the APFM annual conference. I am currently writing about collaborative mediation for a chapter of the State Bar of Texas’s ADR Handbook. In 1990, I began to practice insurance defense in Texas. Mediation was in its infancy. I advocated for clients in hundreds of mediations as a trial lawyer over the next seventeen years. I enjoyed that role, but honestly, I longed to be the mediator. One of my goals as member of the APFM Board is to develop a robust mentoring program for our APFM members. Every mediator, young or old, new or experienced, benefits from a mentor. I will forever be grateful for the invaluable advice, assistance, and support of my mentors, Chip Rose, Forrest “Woody” Mosten, and the late Gay Cox. We are at a Malcolm Gladwell “tipping point” for professional family mediation. The recovery in the housing and stock markets and the increase in employment rates have yielded more financial stability for lots of people who waited to separate or divorce until they felt they could reasonably afford two households. There is no doubt that the recent recession has made people smarter about how they spend their money, and advances in technology have enabled them to easily find the professionals who best meet their needs and budgets. The days are long gone when the only choice was to hire expensive lawyers to handle divorce, separation, child and spousal support, custody, elder care, probate, and family business succession. Carpe diem, mediators! Okay, I admit it. I like to read books on negotiating. I also enjoy traveling, cooking, snow skiing, hiking, scuba diving, and experiencing a nice day on a beach or a mountain anywhere. Stacey H. Langenbahn, J.D. is the President of Détente Mediation Services, LLC in Southlake, Texas and is a Founding Member and a Board Member of the Academy of Professional Family Mediators. She is an international trainer and speaker on collaborative law, and on her unique creation, collaborative mediation, which offers a fresh, new approach to separation, reconciliation, and divorce. This interview was originally published in The Professional Family Mediator, Summer 2014.